​Groups are always welcome including schools, youth groups, special interest groups, U3A, WI and many others. We can offer guided tours of the building to include trips up the mill tower to view the internal workings of the mill, talks on the history and baking demonstrations. 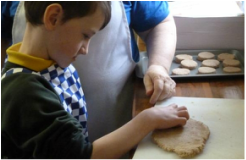 We welcome children’s school & activity groups, with a range of worksheets and mill based activities. Our large activity space allows for smaller groups to tour the mill and the shop has a large selection of pocket money souvenirs to take home. 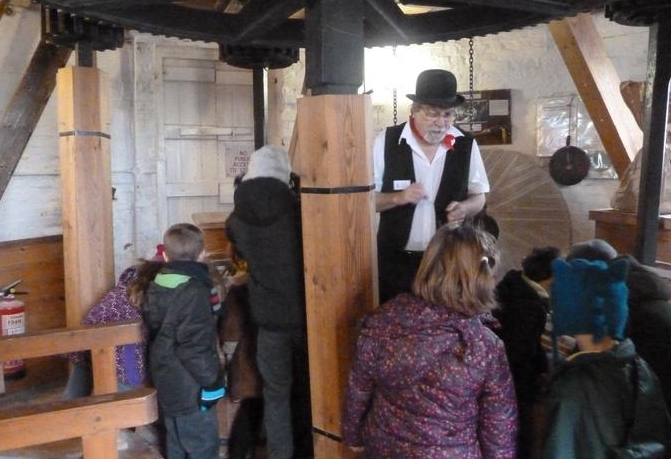 Comments from a school visit said - "The children loved learning about how the mill worked by the power of the wind"
Special interest groups are very welcome at the windmill and tours and talks can be arranged according to the interest. Baking demonstrations can be arranged, together with refreshments at the mill house, making a perfect day or evening out. 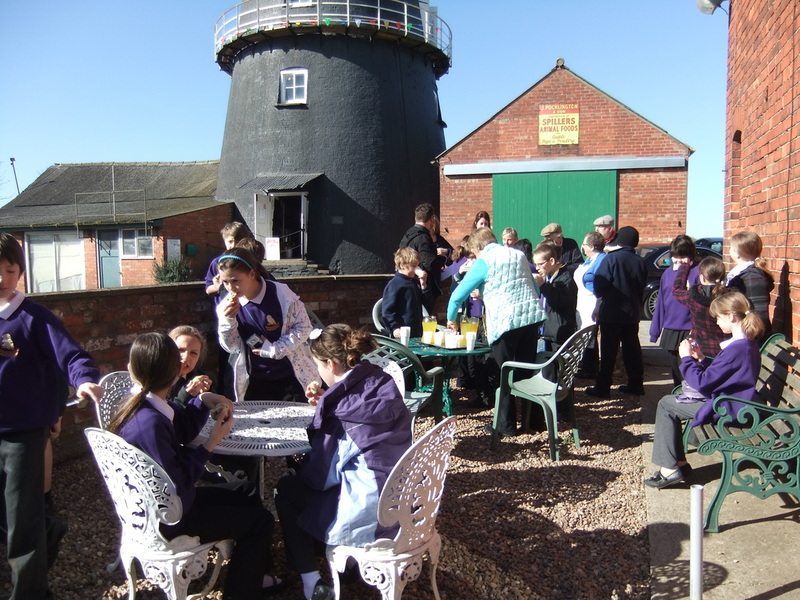 Comments from one group visit said: "The guides made the mill come to life and the freshly baked bread and cream teas just finished off the afternoon"
Download our Challenge Pack for your School or Youth Group and earn a Challenge Badge reward! We have an education pack of worksheets for schools and groups that are available to schools groups if required. Heckington mill has the widest base windmill tower in Lincolnshire. At 8.5m diameter it has plenty of space for group visits. Only 7 mills were ever built with eight sails. One each in Northamptonshire, Hertfordshire, Cambridgeshire and Norfolk and 3 in Lincolnshire. These were - Market Rasen, Skirbeck (transferred to Heckington in 1892) and Holbeach. Of all these, only Heckington's 8 sail mill survives.